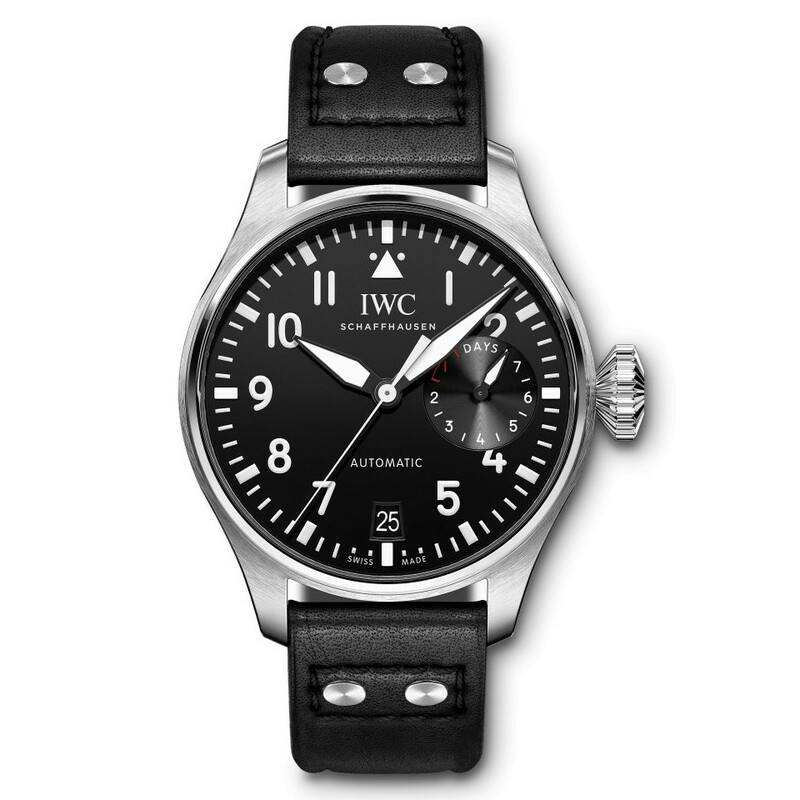 The IWC Big Pilot's Watch TOP GUN (ref. 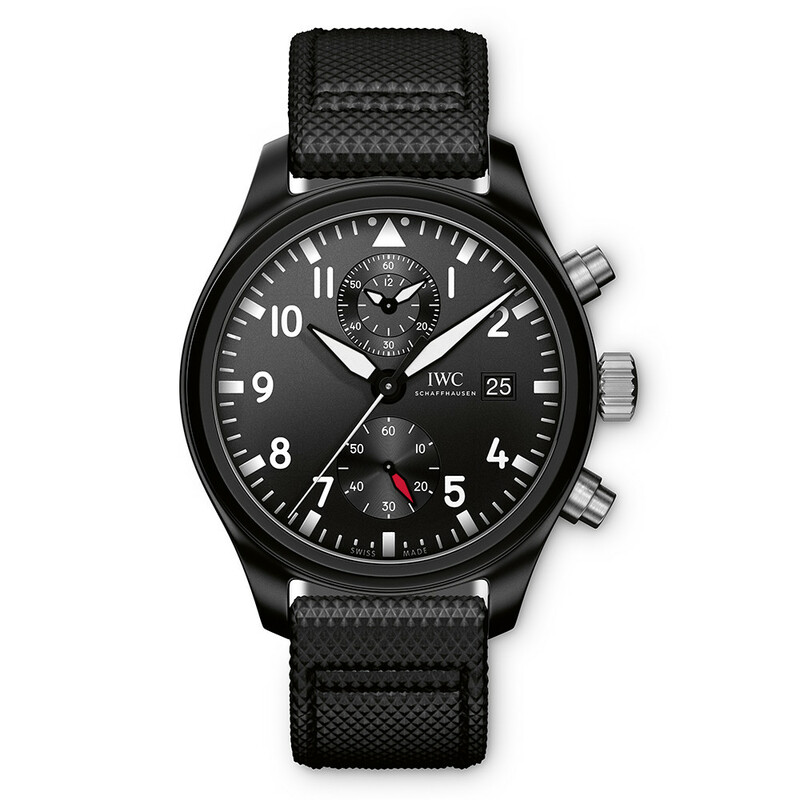 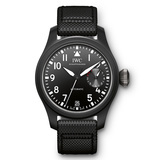 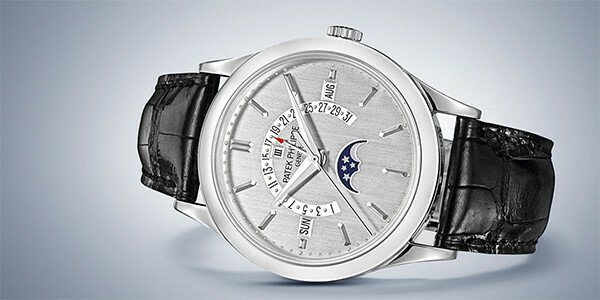 IW502001) features the IWC-manufactured 51111 caliber automatic movement with 7-day power reserve when fully wound; black dial; power reserve display at 3 o'clock; date aperture at 6 o'clock; center seconds hand; stainless steel case back engraved with the TOP GUN insignia; and 46mm, black ceramic case on an embossed black calfskin strap. 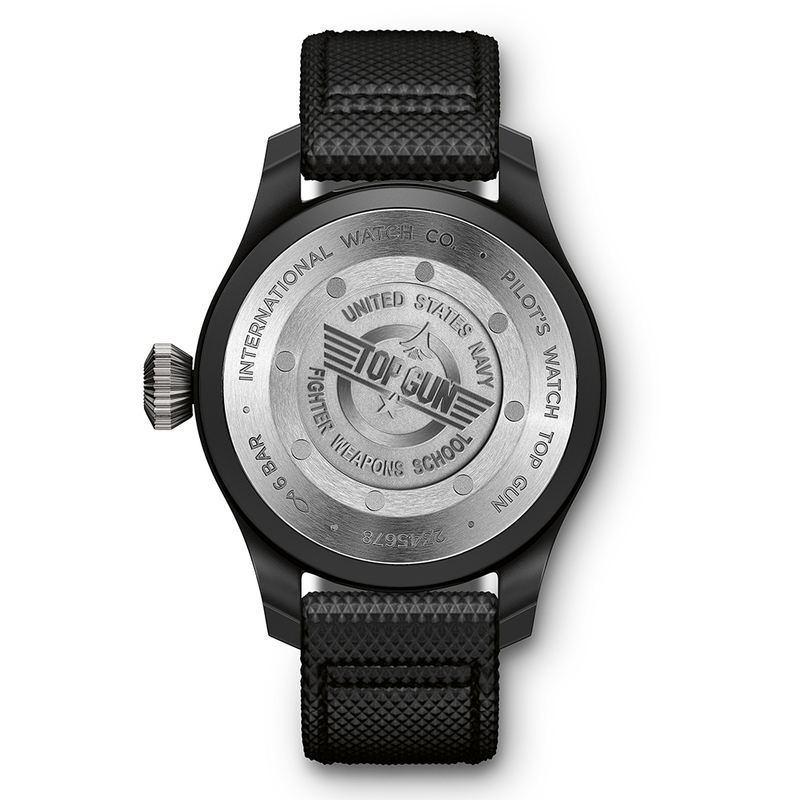 The Big Pilot’s Watch TOP GUN has convenient modern features like power reserve and date displays. 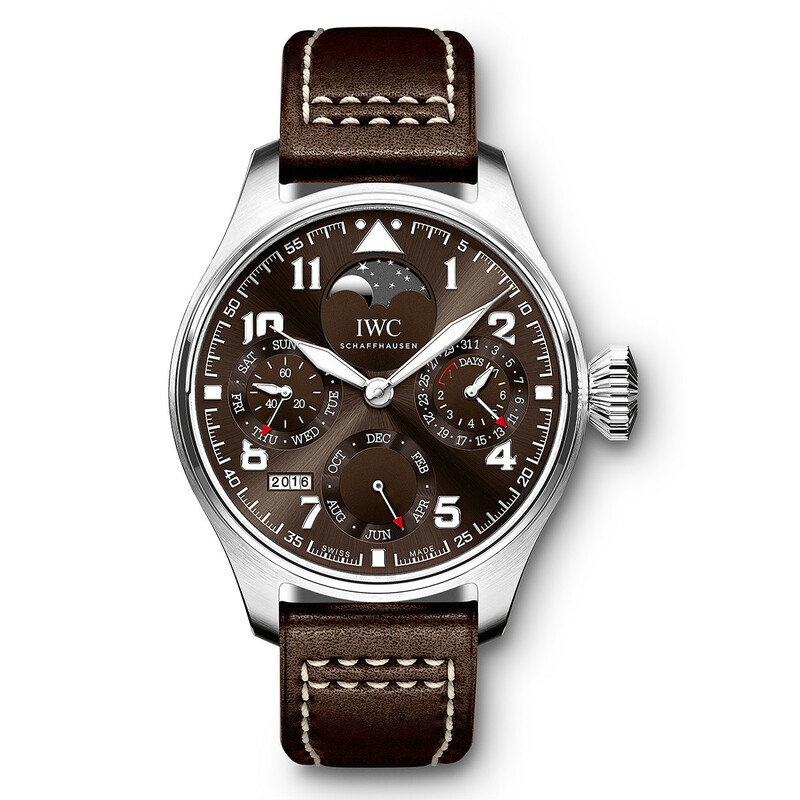 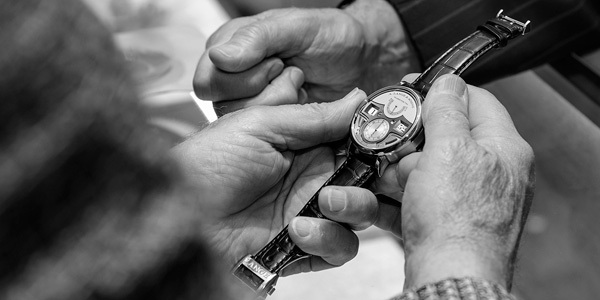 Comprising 311 parts, the IWC-manufactured 51111 calibre has a patented pawl-winding system that builds up a seven-day power reserve after just 1960 full revolutions of the rotor. 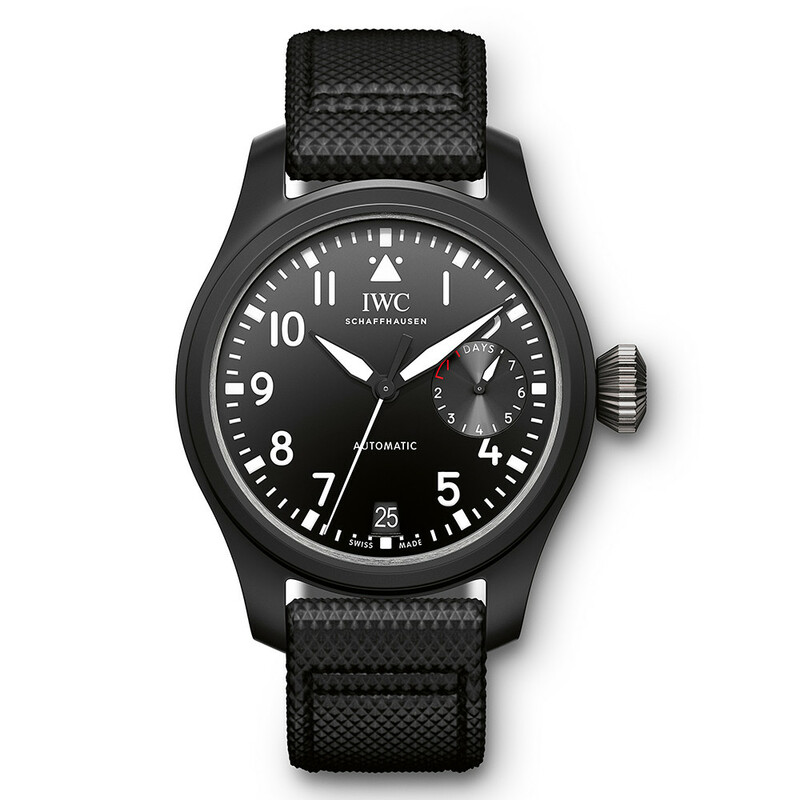 The sapphire glass has an anti-reflective coating on both sides and is secured against sudden drops in pressure in the cockpit.